The transformative power of travel helps strengthen your social, intellectual, and introspective skills so rather than leave those benefits to languish until you step off the plane, start your trip to Granada right now. Here are a few suggestions to get you charged up about visiting this legendary place that’s home to not only one but two UNESCO World Heritage sites, as well as a labyrinth of roads, trails, and dirt roads just outside of city limits that beg for exploration as well. Committing to a vacation can sometimes be the biggest challenge. Perhaps due to the cost of plane tickets from far-flung places, taking that first step that involves plunking down your hard-earned money can be discouraging. But the fact is, plane tickets will likely be your biggest expense. Given Andalusia’s modest cost of living, once you get here you can expect to pay a third to 2/3’s less than you would pay for some things (like food and drinks) in North America or northern Europe. Spain’s national airline, Iberia, flies from most major cities worldwide, as well as provides domestic flights to destinations in all regions of Spain. At the bottom of our home page there’s a “Getting here” section, which gives airport distances from Granada plus ground transit options once you’re in the country. 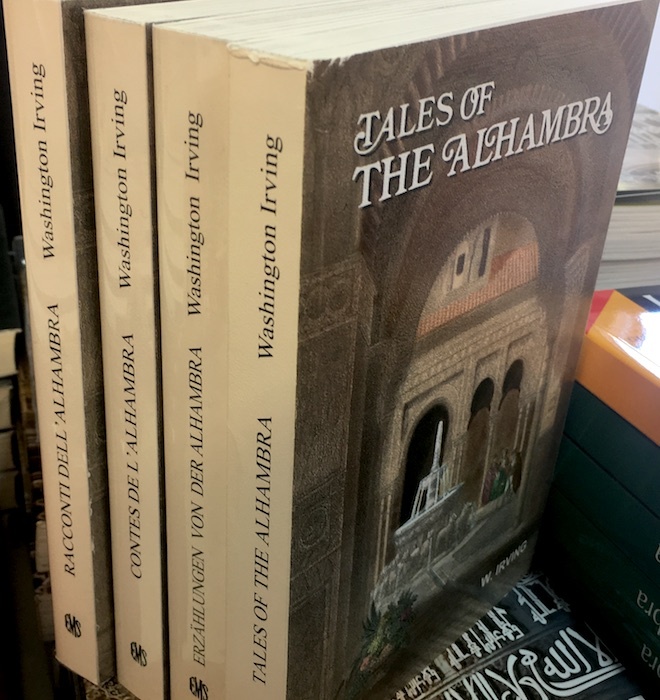 Tales of the Alhambra by Washington Irving. Written from the tales and experiences that Irving collected on an extended visit to Granada in the spring of 1829, many of the references that he makes to geography, structures, and features still stand to this day. 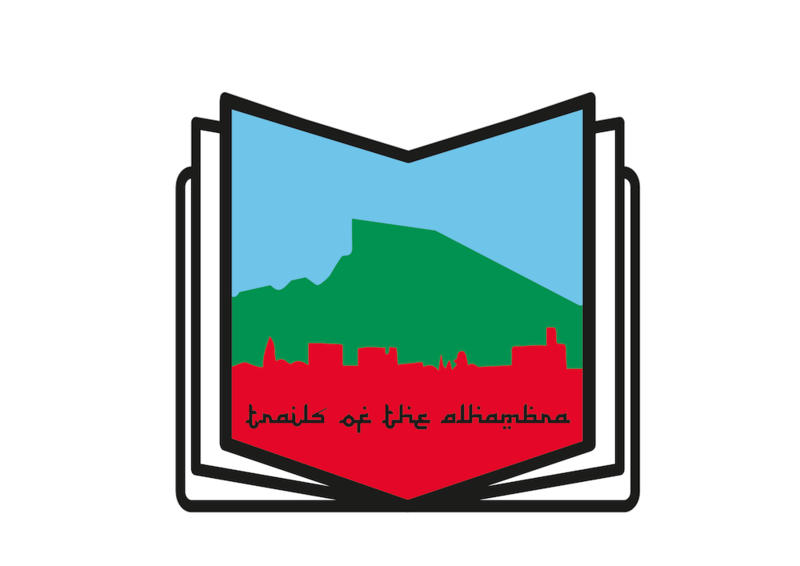 He spent a few months as a resident of the Alhambra, by permission of the Governor of the Alhambra, and he passed his time exploring the Alhambra and gathering the legends that surrounded the Alhambra; his descriptions are set against some of the most popular folktales that prop up the Alhambra’s enduring mystique. Get your hands on the book, kick back and time-travel back a few centuries for a spellbinding visit to Granada. The Epic of Juan Latino by Elizabeth R. Wright. 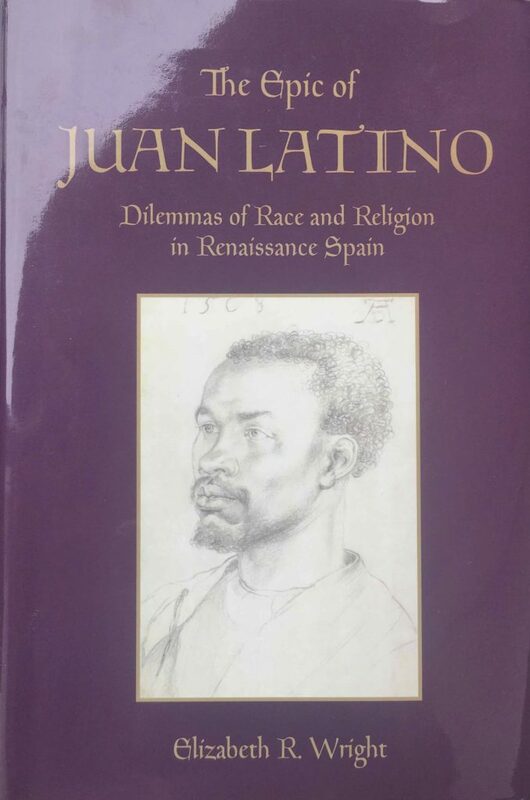 This book tells the story of the first known black writer from the slave diaspora, Juan Latino, who lived in Granada during the 16th century, first as a slave, then as a distinguished professor. More than anything else, it is a compelling literary history of a figure whose significance to Granada is only beginning to be realized. “The Epic of Juan Latino” is as much a historical recounting of the life of Juan Latino as it is a journey to a time and place in Granada, which Wright gives us access to for the first time. You can order “The Epic of Juan Latino” from Amazon here. The Museo de la Alhambra has published a playlist on Spotify called “Música andalusí” that’s a carefully curated collection of classic Andalusian tracks originating from the music of Al Andalus of the 15th century and earlier. This is more than just a listening experience, it’s an aural trip to Granada in times of peace, unrest, and turbulent transformation. This cocktail is based on an absinthe cocktail but has been enhanced to incite dramatic tension. The absinthe has been replaced with pacharán, a liqueur similar in flavor to absinthe. Pacharán was developed in northern Spain as far back as the middle ages and later popularized in the late 19th century. 1. 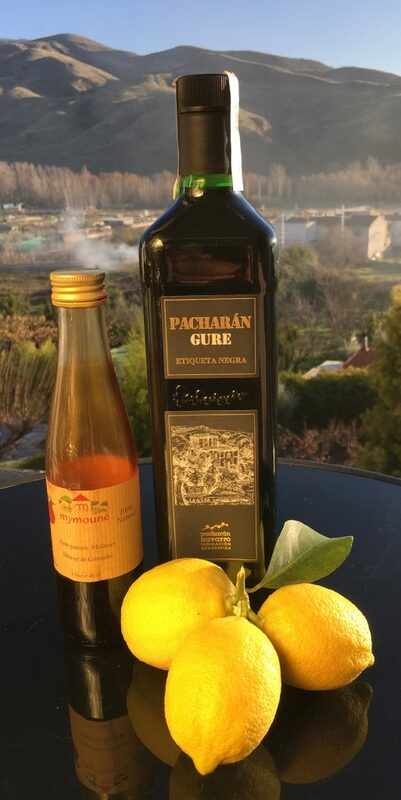 Combine the pacharán (or similar sweet, anise-flavored liqueur), lemon juice and pomegranate molasses in a cocktail shaker. 2. Add ice and shake until well chilled. 3. Strain into a coupe glass and garnish with three pomegranate seeds. “Alhamr” means “the red” in Arabic and it describes the cocktail’s reddish hue, which is similar in tone to the Alhambra, but it’s also what’s written in Arabic above the Alhambra’s main entrance. 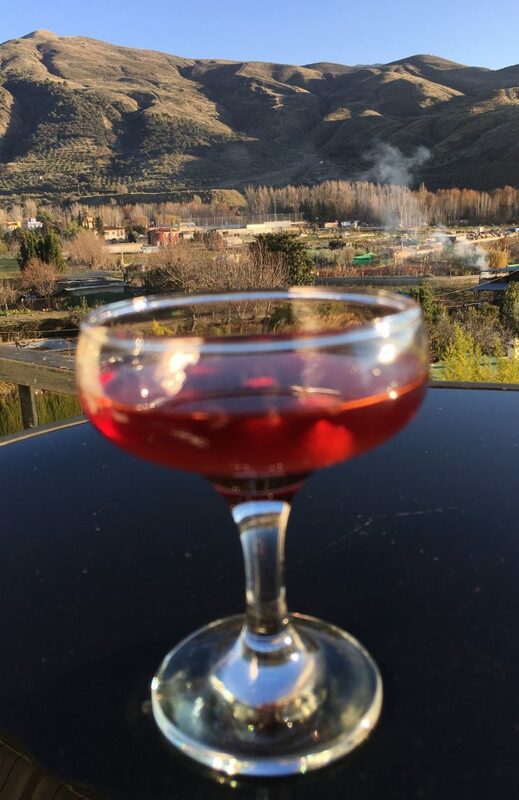 In the romantic backstory I imagined for my cocktail creation, pacharán represents the Catholic acquisition of Granada in the late 15th century while the pomegranate molasses stands for Granada (“granada” being the Spanish word for “pomegranate”). The lemon juice is a metaphor for the sour relations between the Christians and Moors. The pomegranate seeds symbolize the three jewels of Granada, as interpreted by Trails of the Alhambra: the Sierra Nevadas, the Albaycín, and the Alhambra palace. The individual flavors of the ingredients can each be overpowering but once combined, somehow they work, just like the clashing factions of Granada, both then and now.